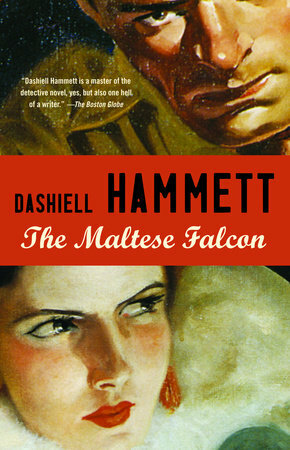 American writer Dashiell Hammett wrote the classic novel The Maltese Falcon. It was originally serialized, like many of Charles Dickens’ works, in the Black Mask magazine in 1929 to 30. The book was made into the classic film of the same name with actors Humphrey Bogart, Mary Astor, Gladys George, Sydney Greenstreet and incredible Peter Lorre. Sam Spade is the main character and practises as a private detective, in partnership with Miles Archer, in San Francisco. A glamorous beauty, Miss Wonderly, hires them to follow a man called Floyd Thursby, who she says has run away with her sister. Archer sets off to follow Thursby, but winds up dead that night. He’d been shot. Next Thursby gets himself killed and the police suspect Spade. Miss Wonderly is unmasked. She is actually called Brigid O’Shaughnessy. It transpires that she is on the hunt for a very valuable black statue of a falcon. She is not the only one. A shady Greek called Joel Cairo and Casper Gutman are also after the falcon. Gutman has in his service, one Wilmer Cook, a young, volatile, gun-totting thug. O’Shaughnessy will not spill the beans to Spade, though she is desperate for his help. I can’t tell you the rest as it would spoil such a wonderful plot. It is a story which is full of mystery, intrigue and thrills set off with a touch of the exotic. Dashiell Hammett wrote this best seller novel, The Maltese Falcon, while living at 891 Post Street in downtown San Francisco. He is one of the worlds finest writers of detective novels and his work endures.